The meeting on Friday between Prime Minister Narendra Modi and his Pakistan counterpart Nawaz Sharif — who met for nearly an hour in Ufa in Russia on the sidelines of the Shanghai Cooperation Organisation Summit to discuss an entire gamut of issues between the two countries — has kicked off a new season of engagement between India and Pakistan. There is now a clear road map of events in the next few months to take the dialogue process forward. Foreign Secretaries of India and Pakistan, S. Jaishankar and Aizaz Ahmad Chaudhry, held a joint press meet where they read out a joint statement on the outcome of the meeting and listed out five points. These are: a meeting in New Delhi between the two National Security Adviser (NSA) to discuss all issues linked to terrorism; early meetings of the Directors General of the Border Security Force and the Pakistan Rangers followed by that of the Directors General Military Operations (DGMO); the decision to release fishermen in each other’s custody, along with their boats, within a period of 15 days; a mechanism for facilitating religious tourism, and both sides agreeing to discuss ways and means to expedite the Mumbai case trial, including additional information like providing voice samples. Prime Minister Narendra Modi met Chinese President Xi Jinping on Wednesday and raised concerns about China's move to put a “technical hold” on India’s attempt in the United Nations to question Pakistan on the release of 2008 Mumbai attacks accused Zaki-ur Rehman Lakhvi. Foreign secretary S Jaishankar said the Chinese side was impressed with India's clarity on the issue during the 95-minute meeting in Ufa, Russia, ahead of the BRICS and Shanghai Cooperation Organisation summits. 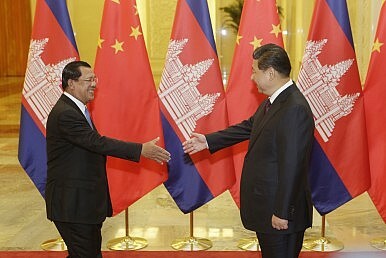 China had cited "insufficient information" for blocking India's request. Meanwhile, reports suggested that Modi and his Pakistani counterpart Nawaz Sharif will meet on Friday on the sidelines of the summit. 1. The Japanese navy could be set to join naval exercises planned between India and the United States, a move that might cause consternation in Beijing. 2. The Supreme Court issued notice to Madhya Pradesh Governor Ram Naresh Yadav to reply on a petition challenging the quashing of a First Information Report against him alleging involvement in the MP Vyapam scam. 3. Rohan Bopanna and his Romanian partner Florin Mergea have been knocked out of the Wimbledon after losing in the men's doubles semifinals. His compatriot Leander Paes has reached the mixed doubles semifinals along with Martina Hingis, who will also be playing in the women's doubles semifinals today, alongside Sania Mirza. He is exactly the kind of intellectual democrat they should have on their team. All right, we know he is the world's foremost argumentative Indian, perhaps our most playful public intellectual, and a Nobel laureate who hasn't given up his Indian passport. That is clearly not enough to make the right wingers proud of Amartya Sen. So I would urge them to read his remarkable and very timely collection of essays, The Country of First Boys - and Other Essays, edited by Antara Dev Sen and Pratik Kanjilal, just out from The Little Magazine and Oxford University Press. It will remind them - or reveal to them - why he is exactly the kind of intellectual democrat (to quote from Gopalkrishna Gandhi's lovely preface to the book) they should have on their team. If indeed Team India needs to have two teams. The British Army that entered Afghanistan in late in 2001 had a quarter century of successes from Northern Ireland, Zimbabwe, the Falkland Islands, Operation Desert Storm, Bosnia, Kosovo, East Timor and Sierra Leone. All these operations were supported by Parliament, the public and the media. There were remarkably few casualties. Many aspects of these operations were demanding, but in all these conflicts the opposition was of lower average quality than British forces, was mostly unwilling to stand and fight and was overmatched by the arms and joint war-fighting capabilities of the UK and its allies. So war in a broken country against enemies who rejected Western values and were prepared to stand, fight and die was a strategic shock. The army was faced with far greater challenges than it had expected. There were periods of intense fighting. Most soldiers, officers and units performed well, often outstandingly so. Many International Security Assistance Force (ISAF) nations experienced similar shocks. Those who also provided troops to the US-led Operation Iraqi Freedom were doubly challenged. For the UK this was not only related to the difficulties of sustaining forces in two different operational theatres, but also to the fact that the ever-decreasing popularity of the Iraq War contaminated the public, media and parliamentary popularity of the UK operations in Afghanistan. These factors greatly challenged the British government, its Ministry of Defence (MoD) and the army. All were too slow to adapt. Overall, the British in Afghanistan were not as effective as they could have been. Afghan security forces inspect site of suicide attack after clashes with Taliban fighters at the gate of an intelligence facility in Kabul, July 7, 2015. 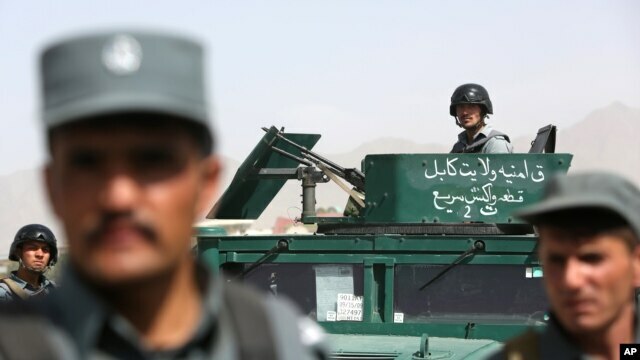 The first direct talks between Afghan government and Taliban representatives in neighboring Pakistan are being widely welcomed as an important step towards ending years of hostilities in Afghanistan. The Taliban delegation was led by senior leader Mullah Abbas Durrani; Afghan Deputy Foreign Ministry Hekmat Khalil Karzai headed the Kabul delegation, which included close aids of Afghanistan President Ashraf Ghani and Chief Executive Abdullah Abdullah. American and Chinese representatives also participated as observers in what is being dubbed an “ice-breaking, historic” meeting that, lasting several hours, ended after midnight. Two months ago, Chinese President Xi Jinping visited Islamabad and announced Beijing's biggest investment in recent times: $46 billion, to build the China-Pakistan Economic Corridor. Is there a message in the fact that this occurred just weeks before Indian Prime Minister Narendra Modi’s first visit to Beijing?Not really. In fact, China was keen to decouple the Xi visit to Pakistan and Modi’s visit to China as much as possible. The cancellation of the Chinese president’s originally-scheduled trip to Islamabad last year provided an opportunity for Beijing to shift the usual optics of these visits when he finally made it there in April. This was the first time in decades that a Chinese leader has visited Pakistan and India separately. Although there is, of course, an important strategic component of the China-Pakistan relationship that is India-focused, there are many elements that really have no reference to India. The China-Pakistan Economic Corridor is one of them. BRUSSELS - For the United States, Greece is a valued NATO ally and a land of relative stability, between the faltering Balkans, North Africa, and the Middle East. Its strategic importance throughout the Mediterranean has increased following the failure of the Arab uprisings and the falling-out of two U.S. allies, Turkey and Israel. Greece's cooperation is crucial in counter-terrorism and in efforts to cope with the flow of refugees from Syria and the Horn of Africa. It has become a security partner for Israel, a relationship reflected in growing links between the Greek and Jewish communities in the United States. The United States has an interest in Europe's drive for greater energy security and diversification of supply away from Russia. 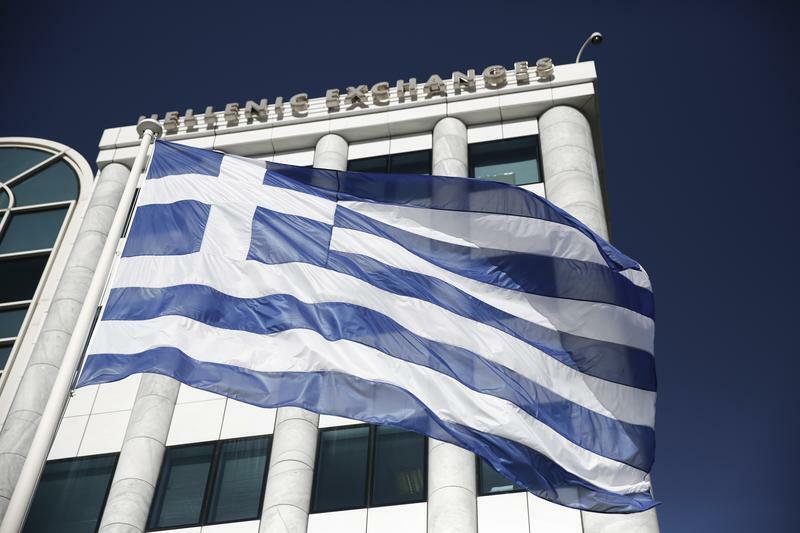 Greece aspires to an important role in Europe's energy security through its own offshore exploration for oil and gas and potential future production and through new interconnectors to the Balkans and up into central Europe. Overall, the "Europeanization" of Greece has saved it from the tribulations of its Balkan neighbors. Much would be lost for the Greek people, the region, the EU, and the United States if Greece became a failed state in an increasingly troubled neighborhood. Russian President Vladimir Putin's efforts to seduce wayward European states might then have greater success. Today just three countries operate long-range heavy bombers. Russia has 170 or so Bears, Backfires and Blackjacks. America fields 160 swing-wing B-1s, radar-evading B-2s and stalwart B-52s. China’s bomber force is smaller with around 130 H-6s. And most of the H-6s, copies of Russia’s Cold War Tu-16, lack the long range and heavy payload that many of the Russian and American bombers boast. But that’s changing. After years of work, the Chinese air force has reportedly outfitted two regiments—together possessing around 36 bombers — with a new, much more capable “K” version of the H-6. The H-6K is Beijing’s B-52 — a far-flying, fuel-efficient heavy bomber combining a simple, time-tested airframe with modern electronics and powerful, precision weaponry. Although to be fair, the B-52 flies much farther with more bombs and missiles. Any nuclear deal with Tehran is going to mean a huge influx of cash for Iran. And even the White House is worried that could mean new funds for Tehran’s terror proxies. Who, What, Why: Is it illegal to display an IS flag? Police have been criticised for not arresting a man who walked through Westminster apparently displaying the black flag associated with the Islamic State group. Is such an act against the law, asks Finlo Rohrer. 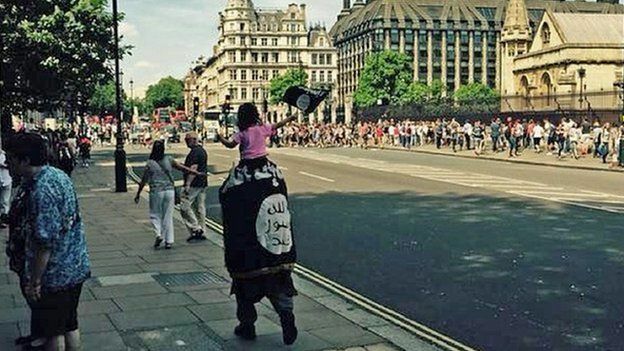 The man, with a small child on his shoulders also holding a flag, walked near the Houses of Parliament while draped in the black flag, apparently similar to that used by the Islamist militant group. The Metropolitan Police said they stopped him but then let him go on his way. "This man was spoken to by officers, with consideration given to relevant legislation, particularly the Public Order Act, and the decision was taken by officers at the time that the man was acting within the law. He was not arrested. The U.S. State Department has gone out of its way to praise the government of Bangladesh for fighting against extremism and terror. The accolade is well deserved. This country of 160 million people is ripe for terrorist influence. According to the State Department's annual Country Reports on Terrorism, "terrorist organizations used social media to spread their radical ideologies and solicit foreign fighters from Bangladesh." Indeed, al Qaeda leader Ayman al Zawahiri once singled out Bangladesh as one of the countries in which the newly-established al Qaeda in the Indian Subcontinent seeks to operate. Bangladesh has responded adroitly. The government has arrested Bangladeshis who have returned to their country from abroad for attempting to recruit its citizens to join the so-called Islamic State. Indeed, when Indian Prime Minister Narendra Modi visited Bangladesh in June, he praised Prime Minister Sheikh Hasina as a formidable force in fighting regional and global terrorism. After sending its soldiers to fight in Iraq twice in 20 years, a war-weary U.S. withdrew the last of its troops there in 2011. Three years later, it returned after big chunks of Iraq and Syria fell to the jihadists of Islamic State. No one in authority calls it America’s Third Iraq War, but Operation Inherent Resolve, a 62-nation campaign of airstrikes coupled with the strengthening of Iraqi military and Syrian rebel forces, is led and mostly conducted by the U.S. While President Barack Obama and his critics disagree over whether the effort can defeat Islamic State, others question whether another Iraq war can serve U.S. interests at all. 'This is not your grandfather’s al-Qaida,' James Comey told the Senate Judiciary Committee. Appearing before the Senate Judiciary Committee, Comey’s said that ISIS’s sophisticated propaganda on social media allows it to reach 21,000 English-language followers on Twitter, and that potential recruits are often moved onto encrypted mobile-messaging platforms that investigators say are difficult to intercept. Social media. Beheadings. Dogma. Empty promises. ISIS is copying the Mexican cartel playbook to a T, writes The Cartel author, Don Winslow. A bound man beheaded in front of a video camera, a chained prisoner burned to death in a cage, the sickening images sent out all over the media. These are the new horrors on the world scene, the brazenly publicized, technology-driven obscenities of ISIS. Western and Ukrainian sanctions are hurting Crimeans while empowering Russia. Crimea is renowned for a history of enduring two long and brutal sieges of its most famous city, Sevastopol—in the Crimean War (1854-55) and in World War II. Now a third siege has begun. Since Russia’s annexation of the peninsula in March 2014, the United States and European Union have put Crimea under one of the toughest embargoes in the world. Almost all trade, transport links, and banking transactions have been blocked. The sanctions regime is in fact much harsher than the one on Russia. It is comparable to those imposed on Cuba, Iran, or Sudan, but unique in being applied to a single province of a country rather than a state. The Russian strongman is terrified of losing control. He should be. This March, Russian President Vladimir Putin canceled a series of public appearances, and the world promptly seemed to lose its collective mind. Everyone from Russians on social media to mainstream Western journalists speculated wildly about why Putin had "disappeared." Could he be ill? Incapacitated by a stroke? Dead? After several days passed and Putin failed to surface, the theories grew more exotic. Was this the result of a "silent coup" by the security services? Was there a conspiracy to keep it all quiet? How deep does this go? Not particularly deep, as it turned out. Putin reappeared a few days later, looking a little pale but otherwise thoroughly alive and un-couped. Although he never offered an official explanation, his waxy pallor suggested he had perhaps been waylaid by a bout of the flu. On July 4th, 2015 two separate instances of Russian long-range bombers closing on U.S. airspace prompted interceptions by U.S. Air Force F-22 and F-15 fighter aircraft off the coasts of California and Alaska. The bombers, Tupolev TU-95 “Bear” bombers, were intercepted at 10:30 and 11 a.m. Eastern Time. The bombers did not enter U.S. airspace, and an interception does not mean the destruction of the intercepted aircraft. Around the same time, Russian President Vladimir Putin called President Obama to wish him a happy Independence Day. Russian bombers did the same thing on July 4, 2013. In January of this year, two Russian nuclear-capable bombers found their way into air defense zones near Alaska, but were not intercepted. That same month, A Russian Bear bomber was intercepted in the English Channel, flying without its transponder (making it invisible to civilian aircraft) prompting the UK government to summon the Russian Ambassador. In February, Russian Bear bombers were intercepted by an RAF Typhoon near Cornwall, England. Russian media released a video of bomber interceptions from the Russian point of view, featuring British Typhoons, a French Mirage, and a German Eurofighter. 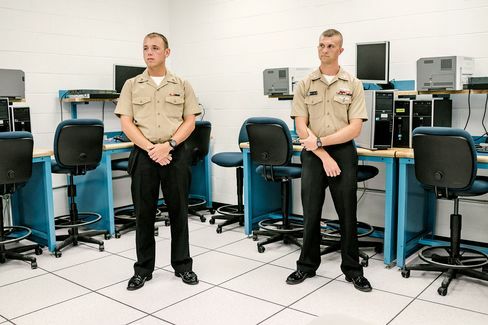 Inside the U.S. Navy’s Corry Station base in Pensacola, Fla., there’s a school that wouldn’t look out of place on any well-manicured college campus—except for a handful of buildings wreathed in barbed wire, with the windows bricked up. That’s to keep electronic signals from getting in or out. The buildings make up the Center for Information Dominance (CID), the Pentagon’s primary boot camp for personnel training in the art of cyberwar. U.S. Defense Secretary Ashton Carter has said that cyber may one day become the sixth service branch, but the military doesn’t yet have the staff for it. The Pentagon said in April that U.S. Cyber Command, the organization created in 2010 to coordinate military efforts online, won’t reach its six-year goal of deploying 6,200 military and civilian personnel until 2018, two years late. The new force is to be responsible for defending the Pentagon’s computer systems as well as, at the direction of the president or defense secretary, launching cyber attacks. Admiral Michael Rogers, who heads Cyber Command and the National Security Agency, told Congress the government has been “hard-pressed” to find and train qualified service members. Why doesn't Washington blow its collective stack at Chinese hack attacks? Because we do it too and want to hold down chatter about it so that we can keep doing it. Washington's tardy and mild reaction: "Hacking in cyberspace? We are shocked, simply shocked!" Almost comic is the way every form of contestation, war, crime and espionage is instantly modernized with the prefix "cyber" (e.g., cyber-reconnaissance - sneaking into the other guys' computers to see what they've got). A little calm is needed in thinking about cybersecurity. First, everyone hacks everyone else, and everyone denies it. China steals much U.S. technology, but imitation may not lead to innovation. If the technology is too advanced for China's skill levels and economy, the stolen secrets are unusable. And, since technology changes so fast, Chinese copycats may go down wrong paths developing yesterday's technology. Denouncing Chinese cyberpenetration begs the question of what we do. It is surely plenty, but we want to keep it very close-hold and preserve the present, relatively open networks because they suit us. That may explain federal reluctance to institute a nationwide cybersecurity regime, leaving credit-card companies and corporations to develop their own systems. So far, the cybersecurity war has been a lopsided rout. And it’s the bad guys who are on an epic winning streak. They’ve hacked into retailers, looting credit card information from Target and Home Depot, and stolen sensitive patient data from major health insurers. They’ve hit Hollywood, the media, the Pentagon. And in one of the largest attacks against the federal government, they recently rooted around in the databases of the Office of Personnel Management. But now the audacious Pentagon research agency that invented the Internet is trying to figure out how to protect it. The agency’s conclusion: We’re doing cybersecurity all wrong. Today, most network protective systems are like fire alarms; they sound when there’s smoke, and then the firefighters arrive to extinguish the flames. But the Defense Advanced Research Projects Agency, dubbed the “Department of Mad Scientists,” envisions a massive, automated computer system that not only detects the smoke, but prevents the fire from happening in the first place — or snuffs it out almost immediately. "King Abdullah II should not view regional turmoil and domestic stalemate as barriers to reform." During Jordan’s Army Day ceremony commemorating the Great Arab Revolt at the beginning of June, King Abdullah II incited debate in Jordanian media when he unveiled not the country’s official flag, but a crimson banner bearing the Islamic declaration of faith, blessings and seven-point star. This flag, a centuries-old Hashemite banner, was presented by the Royal Court to signify Jordanian “freedom, unity, independence and the rejection of violence, terrorism and extremism.” While this narrative may emphasize Jordanian unity amid tumult in its neighborhood, it tacitly admits the palace’s growing fears of domestic insecurity. Alongside all the furor of the last decade-and-a-half’s discussions of the operationally, legally, and morally transformative (or otherwise) consequences of unmanned and autonomous aerial vehicles — the now-ubiquitous “drones” debate — another area of remotely operated military technology has been steaming forward with much less fanfare: unmanned naval systems. Remotely operated submersibles are now integral parts of naval mine-hunting andsubmarine rescue. Other unmanned naval systems, such as Israel’sProtector unmanned surface vessel (USV) and in-development NATO equivalents, are more high-profile — and potentially more contentious — in their combination of armament and lack of onboard operators. Yet such USVs have thus far remained most relevant to low-level tactical challenges: close counter-terrorist protection of higher-value naval units (as with Protector), mine countermeasures, communications relay, rudimentary anti-submarine warfare (as with the U.S. Navy’s Fleet-class), and so forth. Since 1959, the U. S. Air Force’s ICBMs have been on alert, meaning postured to be ready-to-launch within minutes. This alert posture has generally been considered necessary tosustaining stability with major competitors — first the Soviet Union, and now Russia. Global Zero disagrees. The group claims in a new report that the ICBMs’ high state of readiness is destabilizing mainly because it has a deleterious effect on presidential decision-making. Not only do such claims not hold up well under scrutiny, the discussion misses the mark because the central issue is not presidential decision-making, but adversary decision-making. Let us look at five Global Zero claims. 1. “Keeping ICBMs on alert shortens presidential decision time.”Perhaps because it seems logical, this is the most common misperception regarding ICBMs on alert. With ICBMs on alert, if the United States was attacked, the president has the capability to either withhold launch or launch some, or all, of the ICBMs before the adversary’s weapons arrived at their U.S. targets. It is commonly thought the president might have only 30 minutes of reaction time if such an attack were initiated. Global Zero claims this puts the president under pressure to decide to launch before that half hour is up. This argument fundamentally misunderstands the decision-making process. There are three phases in this process: long-term planning (e.g., developing war plans, acquisition of weapons systems), selection among alternatives under a deadline (e.g., determining immediacy of the threat and appropriate response), and the time between decision and execution or analysis of effect (e.g., initiation of response, analysis of success). During a crisis, time in phase two of this process is of most value because it is within phase two that a presidential decision to use nuclear weapons resides. De-alerting the ICBM force does not increase the time available in phase two, where the president decides whether the situation requires use of a nuclear weapon. De-alerting only increases the time in phase three. It does not give the president more time to make a better decision; it just delays execution of that decision. BERLIN — Telephone numbers for top aides to Chancellor Angela Merkel ofGermany, as well as for senior figures in the administrations of her predecessors, emerged on an American intelligence document, raising anew questions about the United States’ spying on one of its closest allies. The lists, part of a trove of United States government documents periodically doled out by the website WikiLeaks, reportedly dated back to the 1990s and included the phone numbers for at least three senior aides to former Chancellor Gerhard Schröder, as well as for aides to his predecessor, Helmut Kohl. The new documents add to a growing pile of allegations that United States intelligence agencies conducted extensive surveillance of the German government. The saga has now run for over two years, emanating from documents revealed by Edward J. Snowden, the former National Security Agencycontractor. WASHINGTON, July 8 (Reuters) - Social media operators such as Twitter, Facebook and YouTube would have to notify federal authorities of online “terrorist activity,” according to the text of a bill approved by the U.S. Senate Intelligence Committee and seen by Reuters on Wednesday. The types of communication include postings related to “explosives, destructive devices, and weapons of mass destruction,” according to the text. An official familiar with the bill said it was sent to the Senate floor for a vote. The official said its main purpose was to give social media companies additional legal protection if they reported to the authorities on traffic circulated by their users, rather than coerce them to spy on users. A hacking group best known for breaking into top-tier technology companiesApple Inc, Facebook Inc and Twitter Inc more than two years ago is now believed to be one of a handful of highly skilled independent gangs pursuing corporate secrets for profit. According to new research from the largest U.S. security software vendor, Symantec Corp, the group appears to be among the few that display significant talent without backing from a national government. The group stays below the radar with a small number of carefully targeted attacks. Thakur said Symantec and other security companies such as FireEye Inc were tracking less than a half dozen such groups, including one called FIN4. Since 1965, we have held onto the belief that computing power will double every two years, as argued in a paper by Gordon Moore, the eventual founder of Intel. But in recent years, scientists have been straining to keep Moore’s Law alive, as we start to approach the physical limit of how small we can make silicon chips. Today (July 9), IBM has announced it has proved it’s possible to produce chips just 7 nanometers wide—or about the width of a few strands of DNA. It is often the moral and economic blindness of New York Times articles about the EU crisis that is most striking. The newest entry in this field is entitled "Now Europe Must Decide Whether to Make an Example of Greece. "That is a chilling phrase most associated in our popular culture with a Consigliere and his Don deciding whether to order a mob "hit." It is, therefore, fitting (albeit over the top) as a criticism of the troika's economic, political, and propaganda war against the Greek people. Except that the article is actually another salvo in that war. Let's start with the obvious - except to the NYT. "Europe" isn't "decid[ing]" anything. The troika is making the decisions. More precisely, it is the CEOs of the elite German corporations and banks that direct the troika's policies that are making the decisions. The troika simply implements those decisions. The troika consists of the ECB, the IMF, and the European Commission. None of these three entities represents "Europe." None of them will hold a democratic referendum of the peoples of "Europe" to determine policies. Indeed, they are apoplectic that the Greek government dared to ask the people of Greece through a democratic process whether to give in to the troika's latest efforts to extort the Greek government to inflict ever more destructive and economically illiterate malpractice on the Greek people. Who Says U.S. Defense Industry Can't Innovate?